May Gurney are continuing to leave signs blocking the pavement with less that the legal minimum of 1 meter for pedestrians. In the past I have emailed the company to complain and have also occasional repositioned them to legal positions. Section D1.1.2 of chapter 8 of the Traffic Signs Manual states that ‘ Road works on or near a carriageway, cycleway or footway might impair the safety and free movement of vehicles, cyclists and pedestrians (particularly those with mobility and visual impairments)‘. 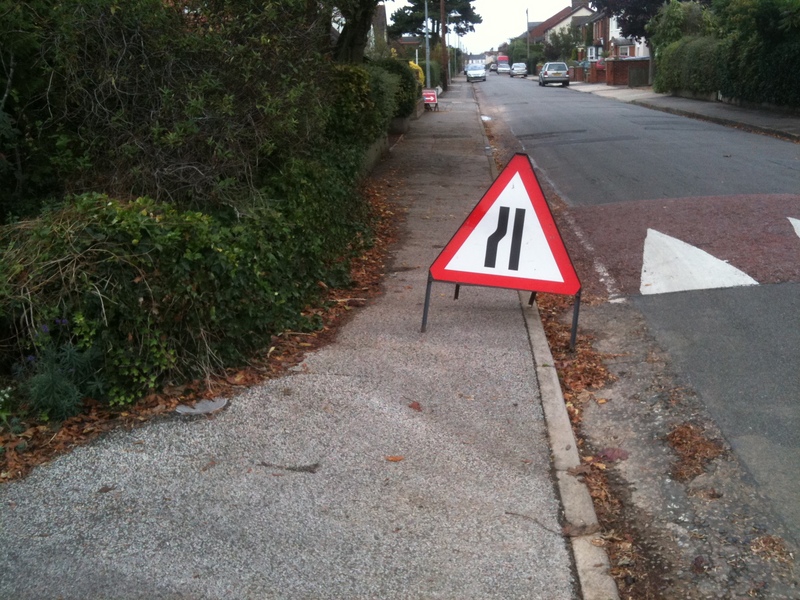 Section D4.4.1 says that ‘in no circumstances must the width of the footway be reduced to less than 1m, preferably not less than 1.5m’. I spotted some more signs yesterday right across a pavement close to my home used by disabled people and parents with young children. 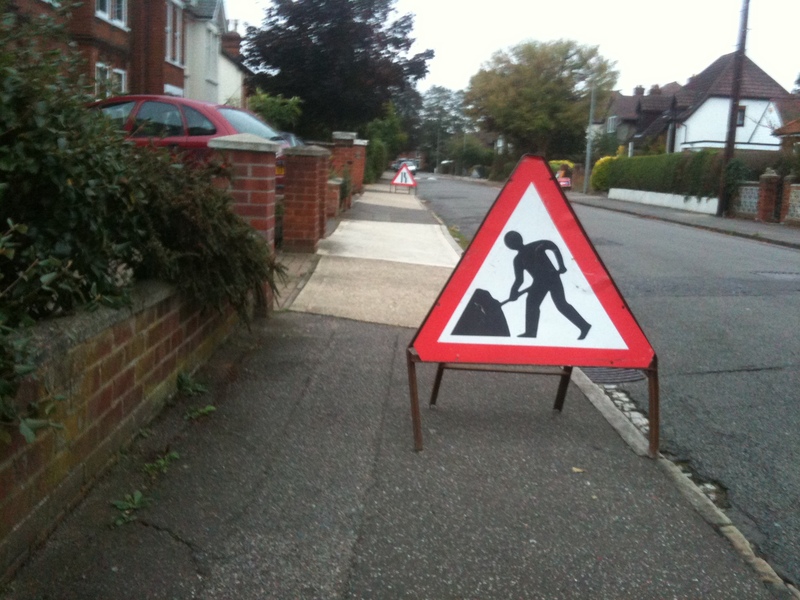 Neither of these signs left 1 meter clear and they were causing more inconvenience that the road works themselves. I contacted the Water Board for whom they were working and asked them to get May Gurney to move them within 24 hours. When May Gurney didn’t do this I removed them into safe storage to avoid injury to pedestrians and emailed the company to request that they phone me to arrange for their collection. No response to my email after 48 hours. I am now sending out a tweet that includes @maygurney to see if that gets a response. In Oxfordshire my experience is that the contractor will have its self-righteous explanation that they have assessed the situation and they are doing their best. Even if they are patently being obstructive. Have you written to the Highway Authority? There should be an office/r with oversight and a (tenuous) control or responsibility for this. Of course the Police will almost certainly defer to the HA rather than being proactive. An ‘objection’ to the Highways or County concerned has to be responded to, at least I think so. I think thiat objections are one of the measurements of the effectiveness of their role.